Jim, a network analyst at a water utility, comes into work each morning and logs into multiple pieces of software. He has to be fluent in each of these systems and regularly switches between them in order to perform his activities. Jim creates new network jobs, updates current job statuses and commentary, while ensuring that the field teams, his management and the various other systems he uses are all kept up to date. Jim’s frustration with the inefficiency of the status quo is typical. Like many water utilities, the use of multiple systems increases the degree of human error, which leads to inefficiencies and potentially unsafe operations. The lack of system integration is one of the principal barriers to streamlining water utility operations and makes managing network events such as supply interruptions, asset failures and leaks even more complex. Do We Really Know the Cost of Water? According to the United Nations, around 1.2 billion people, or almost one-fifth of the world’s population, live in areas of physical water scarcity, and 500 million people are approaching this situation. [i] However, an even more troubling statistic is that another 1.6 billion people, or almost one quarter of the world’s population, face economic water shortage – this is largely due to both severe weather patterns and the infrastructural inability for countries and governments to effectively take water from rivers, aquifers and other sources, and deliver it to the consistently growing list of end users (i.e. household water consumers). 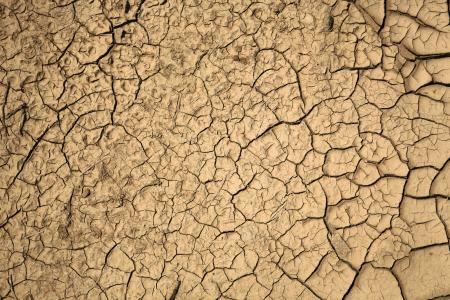 California’s Drought – Is it just the beginning? California is often considered a place where dreams come true whether you strike gold, make it big in Hollywood, or invest wisely in a promising high-tech company. Conjuring up images of beautiful beaches, stunning wine country, and fruit orchards, it’s difficult to imagine that the state is currently experiencing a possible mega-drought that could last for more than 100 years. A historically arid state, it’s water infrastructure was built during the wettest century in hundreds of years. Water allocation decisions in the 20th century had to support rapid population growth and the expansion of large agricultural areas. Consequently, key infrastructure was built during a time of relative water abundance. Some of these large investments included building enormous dams, rerouting rivers, and developing large urban areas in addition to spurring a $45 billion agriculture industry. These decisions will have long-lasting effects on California’s ability to recover from the current drought. California has a long history of politically-fraught water wars that play out both internally between urban and rural areas and externally with other Western states. It seems these disputes will continue as the state government has taken several urgent actions in response to the drought. The California Department of Water Resources announced on January 31 that it will limit long-time water rights holders in some parts of the state (cutting their water supply by 50%) and request that the State Water Resources Control Board change any requirements that impede the conservation of stored water. The Department also issued a zero-allocation announcement meaning no water will be allotted through the State Water Project, a “water storage and delivery system of reservoirs, aqueducts, power plants and pumping plants” that sells water to 29 public water suppliers. On March 1, the California State Assembly unanimously enacted emergency drought legislation in the form of a $687 million recovery package. The package will expand water recycling programs, storm water recapturing, and improve groundwater storage efforts. An additional $183 million in federal funds were allocated in February for similar drought-relief measures. Like many states that go through boom-and-bust economic cycles, California is currently limited to certain approaches that are more economically feasible. Boosting water conservation and working within the existing infrastructure is the more cost-effective alternative to replacing key infrastructure. At best, most states look for the best possible remedial measures that leverage available technologies. In addition to policy changes and the recovery packages, an exciting development took place earlier this month. On March 5, a memorandum of understanding was signed by Israeli Prime Minister Benjamin Netanyahu and California Governor Jerry Brown to promote collaboration between Israel and California in the research and development of water technologies. Israel is a leader in the development of water conservation technologies, such as desalination, wastewater recycling, and drip irrigation. As a global leader in water network management that uses data analysis to inform optimal short- and long-term planning decisions, TaKaDu is well-positioned to contribute to solutions. As the details of the memorandum unfold, TaKaDu will closely follow this important water management and conservation dialogue. This week, TaKaDu was fortunate to be featured at the AIPAC Policy Conference, a gathering of 14,000 delegates from across the U.S. interested in Israeli policy as well as the innovation and technology emerging from what has become widely known as ‘Start Up Nation’. Amir Peleg, TaKaDu’s CEO and Founder, gave a live demonstration of the TaKaDu technology on stage, showing the 14,000 delegates – all close friends and family of course – an underground leak in Melbourne, Australia and a water turbidity problem in Jerusalem in real-time on about 50 huge screens. TaKaDu also had a booth at the AIPAC Village Innovation Showcase, along with other great Israel-based innovations. At the booth, we had the opportunity to demonstrate the TaKaDu technology to hundreds of delegates, answer questions and engage in some fascinating discussions about the role of technology in addressing significant global issues. In June 2013, Psomas, a top-ranked consulting engineering firm formed a partnership with TaKaDu, a global leader in smart water network monitoring. Psomas now plans to serve the U.S. market by offering TaKaDu’s cloud based solution to monitor water distribution networks. In an interview with TaKaDu, Psomas President, Jacob Lipa offers his insights into the future of the U.S. water market and the important role of TaKaDu. Can Organzations trust their data security in the cloud? No more question marks – There is a growing global trend towards adopting cloud solutions. Last year, more than 80% of 4,000 business and IT managers surveyed worldwide by the Ponemon Institute indicated that they were transferring, or plan to transfer sensitive or confidential data into the cloud. Nearly half of the respondents’ organizations already did so, and another one-third of respondents’ organizations were very likely to transfer sensitive or confidential data to the cloud within the next two years. Data security is a primary concern for the U.S. In May 2013, the U.S. Government awarded Amazon a security clearance to allow federal agencies to easily use its cloud computing services as part of the Federal Risk and Authorization Management Program (FedRAMP). FedRAMP is a mandatory government-wide program that standardizes security assessment, authorization, and monitoring for cloud products and services. The Program’s Cloud First policy mandates that agencies take full advantage of cloud computing benefits to maximize capacity utilization, improve IT flexibility and responsiveness, and minimize cost.